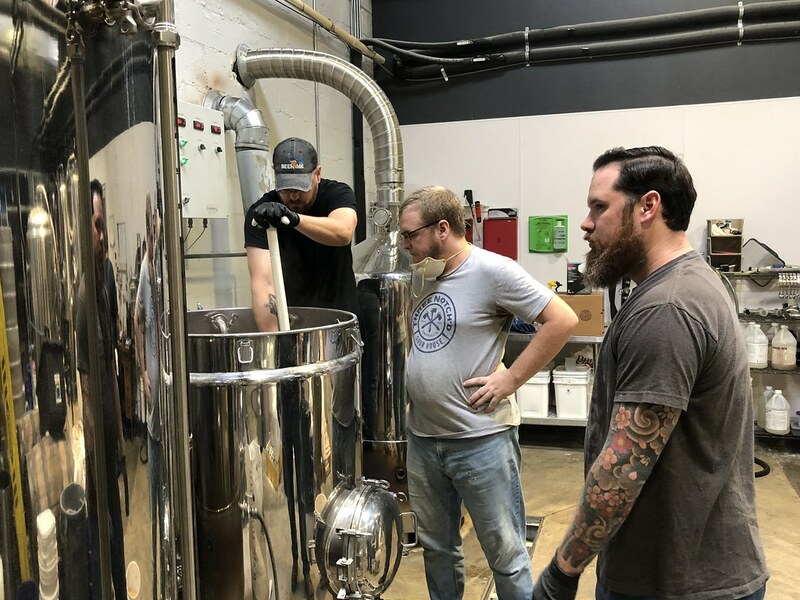 Students, instructors and graduates of the School of Professional & Continuing Studies Beer Brewer Professional Certificate program have collaborated with brewers at Three Notch’d Brewing RVA Collab House to brew Pumpkin Spiced Latte beer, a pumpkin spiced amber ale conditioned with coffee. 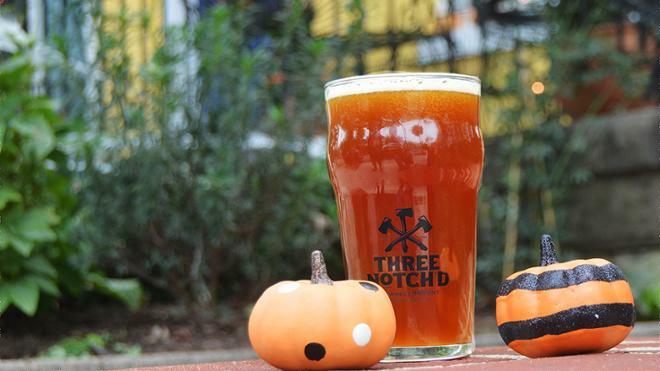 Three Notch’d RVA Collab House hosts the ale’s release party on Thursday, October 18, starting at 7:30 p.m. RVA Collab House also hosted the release party for our earlier collaboration, Bee Student Honey Bourbon Barrel Milk Stout. 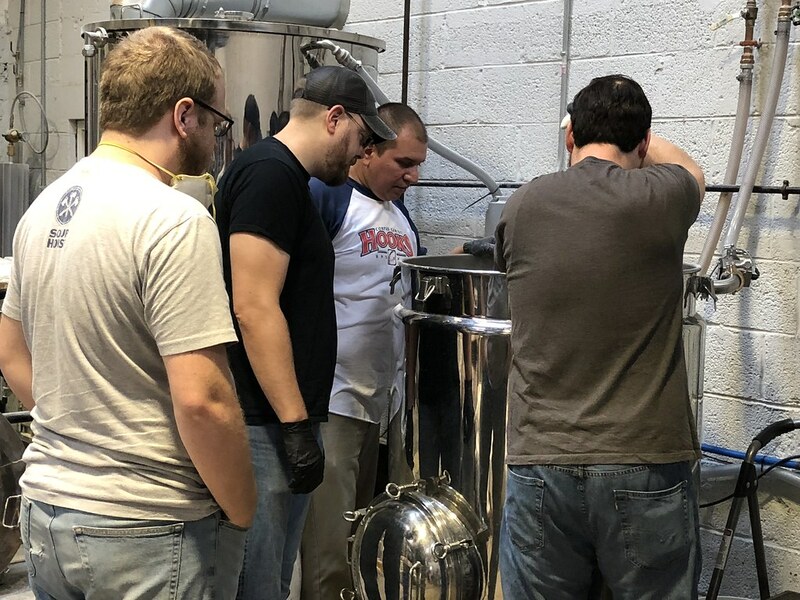 This collaboration provided brewing education students opportunities to experiment with and learn about a number of brewing techniques, like adding lactose, brown sugar and spices to the brew; including fresh vegetables in the recipe; implementing an extended mash and an extended boil; and experimenting with carbonation levels. Three Notch’d RVA Collab House specializes in collaborations with local nonprofits, organizations, and other groups in Richmond. 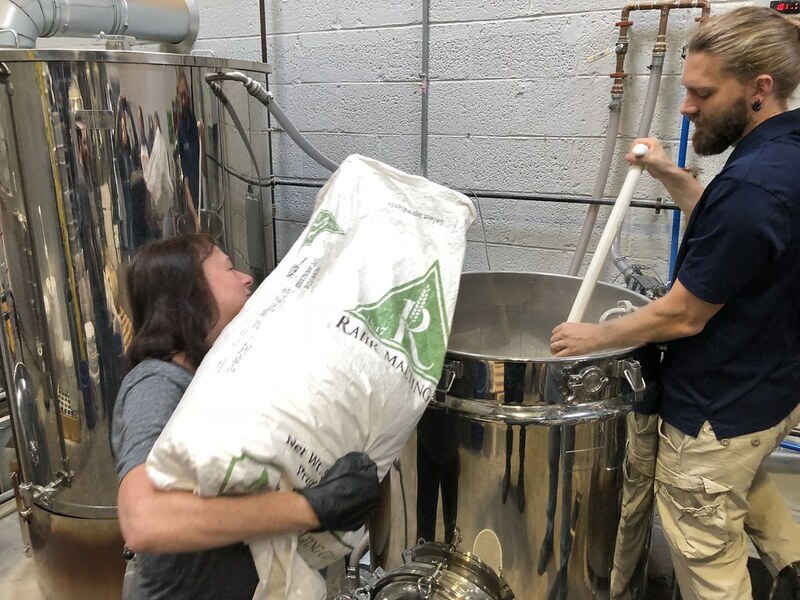 The brewery releases a new beer every Thursday and features a variety of styles from New England style IPAs to stouts and everything in between.